I’m new to baby pips but previously have traded using plus500. However I’m looking for a more technical platform with tighter spreads that allows you to analyse the graphs with different models. Does anyone have a nice user friendly and great platform they’d recommend? I’m new to baby pips but previously have traded using plus500. Welcome to the forum, Jugs. Plus500 is a broker, not a platform. Like most brokers, it has several different platforms available. I’m not quite clear whether you’re asking for [U]broker[/U] recommendations (in which case this would be the place to read and/or ask: [B]301 Moved Permanently ) or for [U]platform[/U] recommendations (in which case you might do well to try here: [B]301 Moved Permanently ). Everyone has their own impressions of both these questions, formed from their own experiences, beliefs and attitudes. Sometimes it’s more helpful and worthwhile to know what to [I]avoid[/I] than which to select. For a broker, I can recommend “Interactive Brokers”, but what matters, in my opinion, is to avoid firms who are actually counterparty market-makers [I]pretending[/I] to be brokers while in actuality they’re trading against you, holding the other side of all your trading positions while also holding your deposited funds, using their own prices, and both making up and interpreting all the rules governing your trades, for the simple and obvious reason that these companies have [I]a direct incentive for you to lose money[/I], because that’s how they make their own living. For a platform, I can recommend NinjaTrader, but more importantly I’d advise you to [I]avoid[/I] MetaTrader if you can, for all the reasons explained in this post. FXCM is great. They can offer you what you are are looking for. I guess I’m looking for a broker with good built in platform… Would you recommend fxcm? It seems that you are looking for broker with tight spreads and good trading platform so I can recommend you to try with PaxForex. As FXCM’s representative here on BabyPips, I’m happy to answer any questions you have about the platforms we offer. You mentioned you’re looking for a more technical platform with tight spreads. Our Trading Station Desktop may be a good place for you to start, but we also offer MT4 and NinjaTrader. Everyone has their own impressions, formed from their own experiences, beliefs and attitudes. Personally, I’d avoid them. +1 on that. Count me in the ‘avoid’ camp, but having written that you need to form your own opinion and make the right call for you. Hi lexys I’ve downloaded the fxcm ninja trader software and it’s good. I was just wondering how to put in stop losses and Create orders; it seems I have to create a sell stop to end my buy unit is that correct? Do you have any tips on how to do this? I’ve downloaded the fxcm ninja trader software and it’s good. I was just wondering how to put in stop losses and Create orders; it seems I have to create a sell stop to end my buy unit is that correct? Do you have any tips on how to do this? I believe you meant to address your question to me. 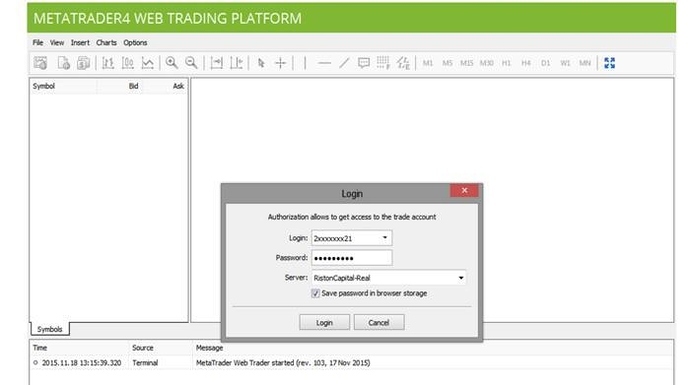 This video library provides instructions on how to use the NinjaTrader platform. To see how to set a stop order, go the section that says “Basic Entry” and select “Submitting Orders”. I use mt4 since start of my trading career. I once tried mt5 and cTrader platform but I didn’t like the environment. Now I’m back to mt4 again. You could try Metatrader4 Web Trading platform from FreshForex. With this online based MT4 you are not limited by your operating system, you can trade on Mac computers, Obuntu and any other OS. You only need a strong internet connection! MT4 is the standard. I don’t think it’s particularly easy for a beginner though. If you use a desktop based platform, you generally need VPS so you positions will stay open when you close your computer. I’ve read on news that FXCM was fined recently by a French regulator. The fine was 200000 euro as I remember. No one is perfect on the market. I am interested in knowing why you did not like cTrader? I always enjoy MT4 and even at present I am using that, but I also have another account where I am using cTrader platform with Octafx. Now I like both, it is pretty hard to say which is better, as MT4 platform is something I have been using for years, so very tough to get over it completely suddenly, but we should not turn away from the fact that cTrader is the future with nice additions like advance charts. That matter pertains to clients back in 2009-2011, and FXCM has since stopped doing business with those firms. We have also implemented enhanced internal control mechanisms of checking introducing brokers and partner companies.